ADENCO starts work on site at Roy Hill and safely completes the Bore Main Tie-In Project. Award and commencement of the MWB TSF PH2 Pipeline Installation Project for BHP at Mt Whaleback. Award and commencement of the Bore Main Tie-In Project at Roy Hill. Achieved over 50,000 man hours incident and injury free on the MAC Surplus Pipeline Project at BHP’s MAC Mine Site. Safe completion, incident and injury free, of the Eastern Ridge Potable Water Pipeline Replacement Project For BHP. ADENCO completes Main Line welding of the 40km pipeline at the MAC Surplus Project at BHP’s MAC Mine Site. Achieved over 40,000 man hours incident and injury free on the MAC Surplus Pipeline Project at BHP’s MAC Mine Site. Addition of a number of further key pieces of equipment to the ADENCO fleet, including new excavators and site vehicles. ADENCO secures place on Roy Hill’s Civil and Associated General Works Panel. Safe completion, incident and injury free, of the JB WHASH Surplus Pipeline Project at BHP’s Jimblebar Mine Site. 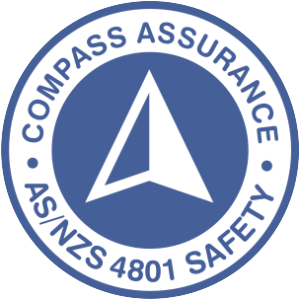 ADENCO achieves positive response to 1st surveillance audit for our integrated management system certification (ISO9001:2015 Quality, ISO14001:2015 Environmental and AS/NZS4801:2001 OHS Management System Standards). Achieved over 20,000 man hours incident and injury free on the MAC Surplus Pipeline Project at BHP’s MAC Mine Site. Achieved over 20,000 man hours incident and injury free on the JB WHASH Surplus Pipeline Project at BHP’s Jimblebar Mine Site. ADENCO receives award of the South Jimblebar Water Storage Project at BHP’s Jimblebar Mine Site. ADENCO commences work on the BHP South Flank tie-in works as part of the MAC Surplus Pipeline Project at BHP’s MAC Mine Site. ADENCO completes roll out of the ADENCO ABSOLUTES program. The ADENCO ABSOLUTES are our set of 10 rules to enable our employees to identify the critical controls that must be in place before undertaking and during work, but more importantly they are in place to help keep our employees and others safe at all times during our operations. Achieved over 10,000 man hours incident and injury free on the MAC Surplus Pipeline Project at BHP’s MAC Mine Site. ADENCO receives EOI invitation for a place on Roy Hill’s Water Supply and Dewatering Works Panel. Achieved over 10,000 man hours incident and injury free on the JB WHASH Surplus Pipeline Project at BHP’s Jimblebar Mine Site. ADENCO reaches a significant milestone with another safe year and over 140,000 man hours incident & injury free across all projects. Mobilisation and commencement of the MAC Surplus Pipeline Project at BHP’s MAC Mine Site. Addition of a number of further key pieces of equipment to the ADENCO fleet, including three large diameter poly welding machines. Safe completion of the RAV Mine Site Infiltration Ponds System Project for BHP at MAC. Award and commencement of the MAC Surplus Pipeline Project at BHP’s MAC Mine Site. Award and commencement of the Eastern Ridge Potable Water Pipeline Replacement Project FOR BHP. Award and commencement of the JB WHASH Surplus Pipeline Project at BHP’s Jimblebar Mine Site. Award and commencement of the SD - Flare Pit Erosion Rehabilitation Project at BHP Billiton Petroleum’s Macedon Gas Plant. ADENCO receives BHP Environmental award at the 2017 Contractor Health, Safety, Environment and Community Performance Awards night in Newman. ADENCO reaches a significant milestone with another safe year and over 100,000 man hours incident & injury free across all projects. Achieved over 10,000 man hours incident and injury free on the BHP RAV project. Safe completion of the 35km Water Transfer Pipeline for GRES at the Gruyere JV Gold Mine (Gold Fields Ltd & Gold Road Resources JV). Over 3500 man hours incident and injury free. 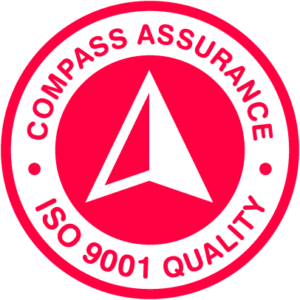 ADENCO achieves certification for ISO9001:2015 Quality, ISO14001:2015 Environmental and AS/NZS4801:2001 OHS Management System Standards. Award and commencement of the 35km Water Transfer Pipeline for GRES at the Gruyere JV Gold Mine (Gold Fields Ltd & Gold Road Resources JV). Mobilisation and commencement of the RAV Mine Site Infiltration Ponds System for BHP at MAC. Safe completion of the OB29 Inpit Dewatering Project at Mt Whaleback Mine Site. Over 4000 man hours incident and injury free. Award of the RAV Mine Site Infiltration Ponds System for BHP at MAC. Achieved 70,000 man hours incident free across all projects. 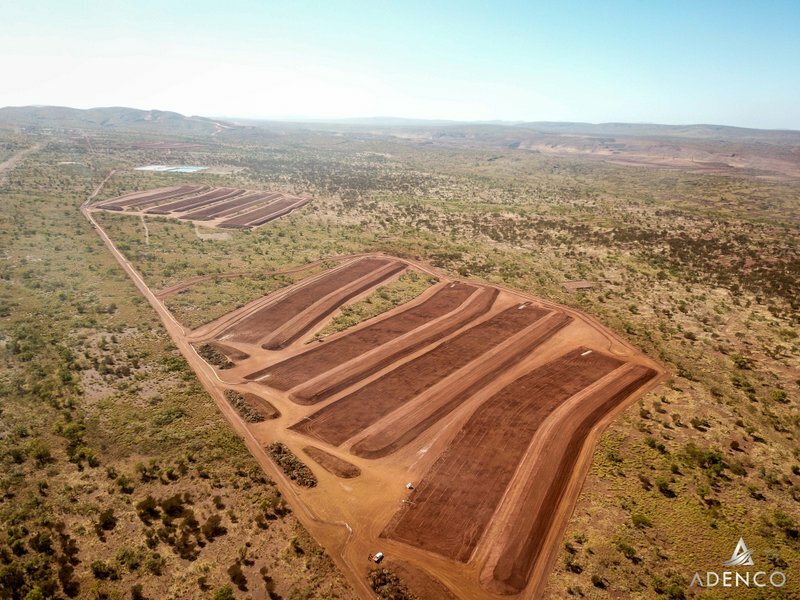 Safe completion of the Creek Crossing Project at a Major Iron Ore Mine Site, Pilbara WA. Award and commencement of the OB29 Inpit Dewatering Project at Mt Whaleback Mine Site. Achieved 60,000 man hours incident free across all projects..
Award and commencement of the PC3 Creek Crossing Project at Jimblebar Mine Site. Addition of Newman base to ADENCO portfolio including the acquisition of several key pieces of earthmoving equipment. Safe completion of the OB35 Inpit Dewatering Project at Mt Whaleback Mine Site. Award and commencement of the OB35 Inpit Dewatering Project at Mt Whaleback Mine Site. Safe completion of Install Works on WH56 Dewatering Project at Jimblebar Mine Site. Award of BHPBIO Supplier Vendor Number. Safe completion of Install Works on XD57 Dewatering Project at Mt Whaleback Mine Site. Achieved 20,000 man hours incident free on OB31 Project. Award of Install Works on WH56 Dewatering Project at Jimblebar Mine Site. Award of Install Works on XD57 Dewatering Project at Mt Whaleback Mine Site. Achieved 10,000 man hours incident free on OB31 Project. Award of Install Works on OB31 Dewatering Project at Jimblebar Mine Site. Installation of 7km of pipeline at BHP Mt Whaleback. Reached our first 10,000 man hours incident free. Site Services to BHP Area C and Rio Tinto Brockman 2. Achieved 60,000 man hours incident free across all projects. ADENCO secures place on Roy Hill’s Civil and Associated General Works Panel. Safe completion, incident and injury free, of the JB WHASH Surplus Pipeline Project at BHP’s Jimblebar Mine Site. 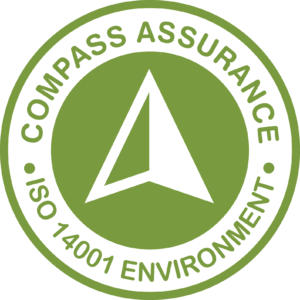 ADENCO achieves positive response to 1st surveillance audit for our integrated management system certification (ISO9001:2015 Quality, ISO14001:2015 Environmental and AS/NZS4801:2001 OHS Management System Standards). Achieved over 20,000 man hours incident and injury free on the MAC Surplus Pipeline Project at BHP’s MAC Mine Site. Achieved over 20,000 man hours incident and injury free on the JB WHASH Surplus Pipeline Project at BHP’s Jimblebar Mine Site. 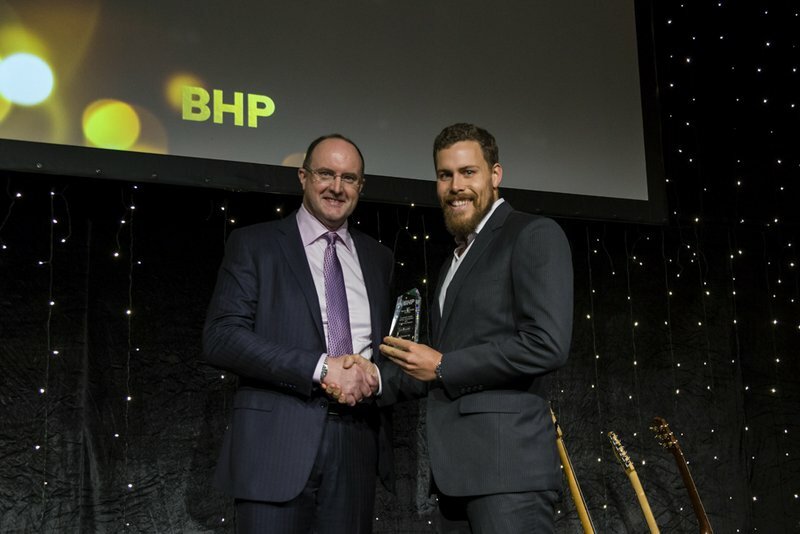 ADENCO receives award of the South Jimblebar Water Storage Project at BHP’s Jimblebar Mine Site. Achieved over 5,000 man hours incident and injury free on the Eastern Ridge Potable Water Pipeline Replacement Project FOR BHP. ADENCO completes roll out of the ADENCO ABSOLUTES program. The ADENCO ABSOLUTES are our set of 10 rules to enable our employees to identify the critical controls that must be in place before undertaking and during work, but more importantly they are in place to help keep our employees and others safe at all times during our operations. Achieved over 10,000 man hours incident and injury free on the MAC Surplus Pipeline Project at BHP’s MAC Mine Site. ADENCO receives EOI invitation for a place on Roy Hill’s Water Supply and Dewatering Works Panel. Safe completion of the 35km Water Transfer Pipeline for GRES at the Gruyere JV Gold Mine (Gold Fields Ltd & Gold Road Resources JV). Over 3500 man hours incident and injury free. Safe completion of the OB29 Inpit Dewatering Project at Mt Whaleback Mine Site. Over 4000 man hours incident and injury free.